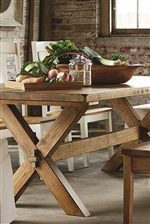 A sibling of the Farmhouse table in this collection, this trestle bottom dining table offers a slightly different look with the same classic beauty. Seats 8-10. 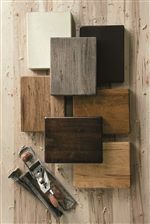 This table is available in 72", 90", and 108" options. The Bench Made Maple 90" Rectangle Trestle Base Table by Bassett at Furniture Discount Warehouse TM in the Crystal Lake, Cary, Algonquin area. Product availability may vary. Contact us for the most current availability on this product. The Bench Made Maple collection is a great option if you are looking for Transitional furniture in the Crystal Lake, Cary, Algonquin area. Browse other items in the Bench Made Maple collection from Furniture Discount Warehouse TM in the Crystal Lake, Cary, Algonquin area.